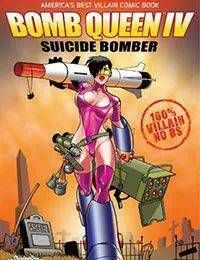 SUICIDE BOMBER Bomb Queen declares war against the Image Universe! The nuclear aftermath from the Queens last adventure put the country on high alert and forced government sanctions on her dictatorship. However, unknown to the Queen, theres a deeper, more evil plot forming right under her feet.